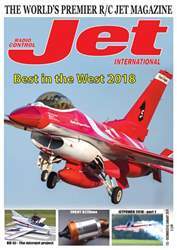 (2 Customer Reviews) | Write Review 6 issues per year RC Jet International covers events internationally as well as airframe reviews and engine tests of products made anywhere in the world. RC Jet International is the only magazine to run regular turbine engine tests and publish comparison performance information. There are regular features devoted to new products/developments, High Power Electric Ducted Fan, and tips. Each issue we try to maintain a balance between reviews of kits, scratch built models, engine tests and reports on meetings. Looking for RC Jet International in print? 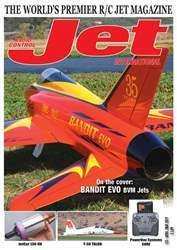 Unfortunately pocketmags.com does not sell print copies of RC Jet International, but all is not lost. Our partner at magazine.co.uk sells print subscriptions at the best prices online. In issue 124, we go in-depth with Modellbau UK’s new Sport Jet, the Aurora. We look at the XL version of the Jetco sports trainer, a BVM Viper airframe is given new life, and we see the realisation of a 60 year old project, as a Focke Wulf 3X1000B takes to the air. On the road we visit the Jets Munt factory, and we have a report from the EDF Jet Jam. Other features include a review of PowerBox’s smoke pump system, we try out some new ‘dry rub’ transfers from Tailormade Decals, and we check out how the ‘Metal Morph’ Sabre was prepped for last years Jet World Masters. Enjoy the issue! RC Jet International covers events internationally as well as airframe reviews and engine tests of products made anywhere in the world. RC Jet International is the only magazine to run regular turbine engine tests and publish comparison performance information. There are regular features devoted to new products/developments, High Power Electric Ducted Fan, and tips. Each issue we try to maintain a balance between reviews of kits, scratch built models, engine tests and reports on meetings. 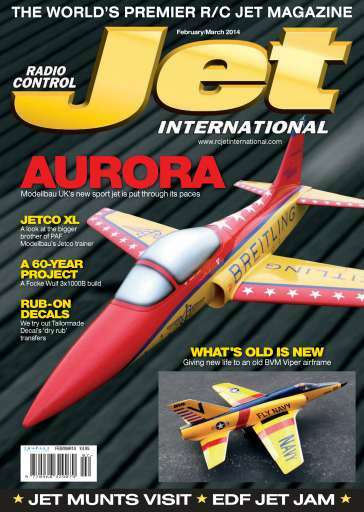 You'll receive 6 issues during a 1 year RC Jet International magazine subscription. 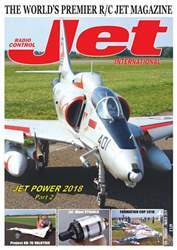 You'll receive 6 issues during a 1 year RC Jet International magazine print subscription.